Ruler foot with outside diameter 1/2" giving 1/4" from needle to the edge at all times. Important: First loose the screw so that the foot drops freely on the sandwich and then tighten the screw. Try to move the sandwich freely by hand. If tight, then loosen the screw and raise the foot just a little bit higher but not too much. Note: When using 9mm machine, please set 3.5mm as centre of the needle. 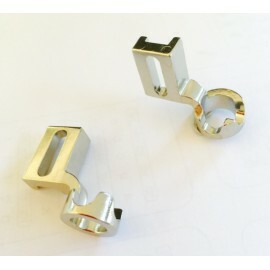 will also fit some low shank machines like Janome, Brother, Babylock etc. - please check with us if in doubt.